Tobacco smoking is among the most significant predictors of cardiovascular disease [1Rasmussen LD, Helleberg M, May MT, et al. Myocardial infarction among Danish HIV-infected individuals: population-attributable fractions associated with smoking. Clin Infect Dis 2015; 60(9): 1415-23. [PMID: 25595744] -6van Zyl Smit RN, Pai M, Yew W-W, et al. Global lung health: the colliding epidemics of tuberculosis, tobacco smoking, HIV and COPD. Eur Respir J 2010; 35(1): 27-33. [http://dx.doi.org/10.1183/09031936.00072909] [PMID: 2004 4459] ] and lung cancer [7Sigel K, Makinson A, Thaler J. Lung cancer in persons with HIV. Curr Opin HIV AIDS 2017; 12(1): 31-8. [http://dx.doi.org/10.1097/COH.0000000000000326] [PMID: 276 07596] -12Shepherd L, Ryom L, Law M, Petoumenos K, Hatleberg CI. Cessation of cigarette smoking and the impact on cancer incidence in human immunodeficiency virus–infected persons: The data collection on adverse events of Anti-HIV drugs study. 2018.] in People Living with HIV (PLHIV). In fact, in the antiretroviral era, smoking may contribute to a greater loss of life in PLHIV than HIV itself [9Helleberg M, Afzal S, Kronborg G, et al. Mortality attributable to smoking among HIV-1-infected individuals: A nationwide, population-based cohort study. Clin Infect Dis 2013; 56(5): 727-34. [http://dx.doi.org/10.1093/cid/cis933] [PMID: 23254417] , 13Reddy KP, Parker RA, Losina E, et al. Impact of cigarette smoking and smoking cessation on life expectancy among people with HIV: A US-based modeling study. J Infect Dis 2016; 214(11): 1672-81. [http://dx.doi.org/10.1093/infdis/jiw430] [PMID: 27815384] ]. In a Danish cohort of PLHIV, 12.3 (95%CI, 8.1-16.4) life years were lost in association with smoking compared to only 5.1 (95%CI, 1.6-8.5) life years lost in association with HIV [9Helleberg M, Afzal S, Kronborg G, et al. Mortality attributable to smoking among HIV-1-infected individuals: A nationwide, population-based cohort study. Clin Infect Dis 2013; 56(5): 727-34. [http://dx.doi.org/10.1093/cid/cis933] [PMID: 23254417] ]. In addition, smoking rates are high in PLHIV, with studies reporting 21-84% of individuals being current smokers (vs. 19% in the general population) and 9-30% being former smokers [14Drummond MB, Merlo CA, Astemborski J, et al. The effect of HIV infection on longitudinal lung function decline among IDUs: A prospective cohort. AIDS 2013; 27(8): 1303-11. [http://dx.doi.org/10.1097/QAD.0b013e32835e395d] [PMID: 232 99176] -21Health Trends [Internet]. Statistics Canada. 2014 [cited January 21, 2018]; Available from: http://www12.statcan.gc.ca/ health-sante/82-213/index.cfm?Lang=ENG]. In PLHIV, higher rates of un-employment, substance abuse, low education, lone-liness, depression, and food insecurity have all been associated with smoking or not being ready to quit [2Rahmanian S, Wewers ME, Koletar S, Reynolds N, Ferketich A, Diaz P. Cigarette smoking in the HIV-infected population. Proc Am Thorac Soc 2011; 8(3): 313-9. 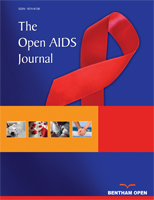 [http://dx.doi.org/10.1513/pats.201009-058WR] [PMID: 2165 3534] , 22Regan S, Meigs JB, Grinspoon SK, Triant VA. Determinants of smoking and quitting in HIV-Infected Individuals. PLoS One 2016; 11(4): e0153103. [http://dx.doi.org/10.1371/journal.pone.0153103] [PMID: 270 99932] -24Kim JE, Flentje A, Tsoh JY, Riley ED. Cigarette Smoking among Women Who Are Homeless or Unstably Housed: Examining the Role of Food Insecurity. J Urban Health 2017; 94(4): 514-24. [http://dx.doi.org/10.1007/s11524-017-0166-x] [PMID: 28589 340] ]. Smoking is a major modifiable health risk factor that, if addressed effectively, could drastically improve the health of PLHIV. Smokers living with HIV who abstain from tobacco smoking for more than a year are at lower risk of acquiring AIDS-defining illnesses, cardiovascular events, non-AIDS-defining malignancies, and bacterial pneumonia [12Shepherd L, Ryom L, Law M, Petoumenos K, Hatleberg CI. Cessation of cigarette smoking and the impact on cancer incidence in human immunodeficiency virus–infected persons: The data collection on adverse events of Anti-HIV drugs study. 2018., 25Lifson AR, Neuhaus J, Arribas JR, van den Berg-Wolf M, Labriola AM, Read TR. Smoking-related health risks among persons with HIV in the Strategies for Management of Antiretroviral Therapy clinical trial. Am J Public Health 2010; 100(10): 1896-903. [http://dx.doi.org/10.2105/AJPH.2009.188664] [PMID: 207 24677] -27Fuster M, Estrada V, Fernandez-Pinilla MC, et al. Smoking cessation in HIV patients: rate of success and associated factors. HIV Med 2009; 10(10): 614-9. [http://dx.doi.org/10.1111/j.1468-1293.2009.00735.x] [PMID: 196 59946] ]. We described the tobacco-related clinical and sociod-emographic characteristics of a convenience sample of tobacco smokers at the Chronic Viral Illness Service (CVIS), a tertiary HIV clinic in Montreal. We conducted an exploratory analysis of smoking cessation methods to identify potential areas of improvement in the clinic’s approach to smoking cessation. Questionnaires were self-administered by patients or administered orally by study staff as needed. The questionnaire contained a combination of scales from a Papadakis et al. study and additional questions relevant to tobacco smoking in PLHIV [28Papadakis S, Tulloch HE, Gharib M, Pipe AL. Profile of tobacco users identified in primary care practice and predictors of readiness to quit: a cross-sectional survey. CMAJ Open 2016; 4(1): E41-7. [http://dx.doi.org/10.9778/cmajo.20150055] [PMID: 2728 0113] ]. Questions about cigarette use, smoking-related symptomatology, previous cessation attempts, marijuana and e-cigarette use, and readiness to quit were included in the questionnaire. Written informed consent was obtained prior to survey completion. No compensation was provided. Additional information, such as Hepatitis C (HCV) coinfection, HIV-infection risk category, and sociodemographic data were collected through chart review. Characteristics of the study population and CVIS population with visits from September 1st 2016 to September 1, 2017. Although two-thirds of the participants in our sample expressed an interest in quitting within six months, access to the majority of effective smoking cessation methods was relatively low. Half of the study participants (50.0%) had ever used nicotine patches to quit smoking, making Nicotine Replacement Therapy (NRT) the most frequently used smoking cessation aid. While this finding indicates that NRT is accessible to many participants, it could also suggest that NRT may not be optimally prescribed or administered to this group. Studies in PLHIV have found that compliance with NRT tends to be poor [29Ledgerwood DM, Yskes R. Smoking cessation for people living with HIV/AIDS: a literature review and synthesis. Nicotine Tob Res 2016; 18(12): 2177-84. [http://dx.doi.org/10.1093/ntr/ntw126] [PMID: 27245237] -32Matthews AK, Conrad M, Kuhns L, Vargas M, King AC. Project Exhale: preliminary evaluation of a tailored smoking cessation treatment for HIV-positive African American smokers. AIDS Patient Care STDS 2013; 27(1): 22-32. [http://dx.doi.org/10.1089/apc.2012.0253] [PMID: 23305259] ]. Comparisons of smoking cessation method use by McNemar’s exact test. Counselling and oral therapy were underutilized evidence-based smoking cessation strategies in our sample. Only 12 (16.7%) participants had ever tried oral therapy to quit smoking and only 4 (5.6%) had ever received counselling to quit smoking. In the general population, bupropion nearly doubles the odds of abstinence at 12 months compared to placebo (OR 1.85, 95% CI 1.63-2.10) and varenicline nearly triples the odds (OR 2.89, 95% CI 2.40-3.48), whereby the abstinence rate of control participants is about 10% [33Reid RD, Pritchard G, Walker K, Aitken D, Mullen K-A, Pipe AL. Managing smoking cessation. CMAJ 2016; 188(17-18): E484-92. [http://dx.doi.org/10.1503/cmaj.151510] [PMID: 27698200] ]. Few Randomized Controlled Trials (RCTs) have been conducted in PLHIV, but these treatments appear to be efficacious and well-tolerated [29Ledgerwood DM, Yskes R. Smoking cessation for people living with HIV/AIDS: a literature review and synthesis. Nicotine Tob Res 2016; 18(12): 2177-84. [http://dx.doi.org/10.1093/ntr/ntw126] [PMID: 27245237] ]. Similarly, a recent RCT of 248 PLHIV in France found that quit rates with varenicline were higher than the standard of care alone (OR 2.5, 95% CI: 1.0 to 6.1) [34Mercié P, Arsandaux J, Katlama C, et al. Efficacy and safety of varenicline for smoking cessation in people living with HIV in France (ANRS 144 Inter-ACTIV): a randomised controlled phase 3 clinical trial. Lancet HIV 2018; 5(3): e126-35. [http://dx.doi.org/10.1016/S2352-3018(18)30002-X] [PMID: 293 29763] ]. Smoking cessation counselling is another effective intervention used in the general population, with increased relative quit rates of 1.39 (95%CI: 1.24 to 1.57) and 1.98 (95%CI: 1.60 to 2.46) for individual and group counselling, respectively [33Reid RD, Pritchard G, Walker K, Aitken D, Mullen K-A, Pipe AL. Managing smoking cessation. CMAJ 2016; 188(17-18): E484-92. [http://dx.doi.org/10.1503/cmaj.151510] [PMID: 27698200] ]. Studies of smoking cessation counseling in PLHIV have been hindered by methodological issues such as small sample sizes or lack of randomization [29Ledgerwood DM, Yskes R. Smoking cessation for people living with HIV/AIDS: a literature review and synthesis. Nicotine Tob Res 2016; 18(12): 2177-84. [http://dx.doi.org/10.1093/ntr/ntw126] [PMID: 27245237] ]. However, they appear to demonstrate a positive, albeit modest, effect [29Ledgerwood DM, Yskes R. Smoking cessation for people living with HIV/AIDS: a literature review and synthesis. Nicotine Tob Res 2016; 18(12): 2177-84. [http://dx.doi.org/10.1093/ntr/ntw126] [PMID: 27245237] ]. In clinics with a multi-disciplinary model of HIV care, such as the CVIS, there is potential for smoking cessation counselling to be delivered along side other types of counselling, in conjunction with optimally dosed NRT or oral therapy. Indeed, combined counselling and phar-macological smoking cessation interventions are effective in PLHIV, with quit rates ranging from 11.8 to 28% [35Balfour L, Wiebe SA, Cameron WD, et al. An HIV-tailored quit-smoking counselling pilot intervention targeting depressive symptoms plus Nicotine Replacement Therapy. AIDS Care 2017; 29(1): 24-31. [http://dx.doi.org/10.1080/09540121.2016.1201195] [PMID: 27 435835] ]. In RCTs involving the general population, quit rates at three to six months ranged from 10% to 36.8% for counselling plus pharmacotherapy compared to 3.3 to 10.3% for phar-macotherapy alone [35Balfour L, Wiebe SA, Cameron WD, et al. An HIV-tailored quit-smoking counselling pilot intervention targeting depressive symptoms plus Nicotine Replacement Therapy. AIDS Care 2017; 29(1): 24-31. [http://dx.doi.org/10.1080/09540121.2016.1201195] [PMID: 27 435835] ]. Early evidence suggests that these rates could be further improved if paired with concurrent treatment for depressive symptoms, which are highly prevalent in our sample [35Balfour L, Wiebe SA, Cameron WD, et al. An HIV-tailored quit-smoking counselling pilot intervention targeting depressive symptoms plus Nicotine Replacement Therapy. AIDS Care 2017; 29(1): 24-31. [http://dx.doi.org/10.1080/09540121.2016.1201195] [PMID: 27 435835] , 36OʼCleirigh C, Zvolensky MJ, Smits JAJ, et al. Integrated Treatment for Smoking Cessation, Anxiety, and Depressed Mood in People Living With HIV: A Randomized Controlled Trial. J Acquir Immune Defic Syndr 2018; 79(2): 261-8. [http://dx.doi.org/10.1097/QAI.0000000000001787] [PMID: 3021 2438] ]. For example, in a recent RCT of PLHIV, combined NRT and cognitive behavioural therapy for smoking cessation and dep-ression/anxiety resulted in a 46% quit rate at six months, significantly higher than the 5% quit rate for NRT alone [36OʼCleirigh C, Zvolensky MJ, Smits JAJ, et al. Integrated Treatment for Smoking Cessation, Anxiety, and Depressed Mood in People Living With HIV: A Randomized Controlled Trial. J Acquir Immune Defic Syndr 2018; 79(2): 261-8. [http://dx.doi.org/10.1097/QAI.0000000000001787] [PMID: 3021 2438] ]. Our study had several limitations. Firstly, we were only able to recruit a limited number of participants, which hindered our ability to conduct more in-depth analyses. Secondly, given time and financial constraints, patients were recruited by convenience sampling, with many coming from the Canadian Coinfection Cohort and from the clinic outreach nurse [37Klein MB, Saeed S, Yang H, et al. Cohort profile: the Canadian HIV-hepatitis C co-infection cohort study. Int J Epidemiol 2010; 39(5): 1162-9. [http://dx.doi.org/10.1093/ije/dyp297] [PMID: 19786463] ]. Thus, our sample is dissimilar from the general pool of HIV positive patients and likely a non-representative subset of smokers at the CVIS, consisting of more HCV-seropositive persons and more individuals followed by an allied health professional who may have more social or psychological needs than the overall pool of smokers in our clinic. This is supported by the descriptive statistics of CVIS patients provided in Table 1. Notably, 39% of our sample was PWID and 40.3% were HCV co-infected, while only 7% and 11.1% of CVIS patients with visits during the study period were PWID or HCV co-infected, respectively. There is currently no systematic identification of tobacco smoking patients at the clinic, which hinders our ability to assess the comparability of our sample with the general pool of tobacco smokers. This may limit the generalizability of our findings. We also did not collect any information about educational or financial char-acteristics of participants, pain, healthcare provider attitudes and/or practices, or timing of smoking cessation interventions, all of which are important factors for smoking cessation [2Rahmanian S, Wewers ME, Koletar S, Reynolds N, Ferketich A, Diaz P. Cigarette smoking in the HIV-infected population. Proc Am Thorac Soc 2011; 8(3): 313-9. [http://dx.doi.org/10.1513/pats.201009-058WR] [PMID: 2165 3534] , 33Reid RD, Pritchard G, Walker K, Aitken D, Mullen K-A, Pipe AL. Managing smoking cessation. CMAJ 2016; 188(17-18): E484-92. [http://dx.doi.org/10.1503/cmaj.151510] [PMID: 27698200] , 38Vidrine DJ, Frank SG, Savin MJ, Waters AJ, Li Y, Chen S, et al. HIV Care Initiation: A Teachable Moment for Smoking Cessation? Nicotine Tob Res 2017. [PMID: 29059424] -43Aigner CJ, Gritz ER, Tamí-Maury I, Baum GP, Arduino RC, Vidrine DJ. The role of pain in quitting among human immunodeficiency virus (HIV)-positive smokers enrolled in a smoking cessation trial. Subst Abus 2017; 38(3): 249-52. [http://dx.doi.org/10.1080/08897077.2017.1291466] [PMID: 2832 8303] ].